Ichizu（一途), defined as "the way of" or "born and destined for this particular path", is the term which perfectly describes our "way of sushi" for us at Sushi Ichizu. The modern world is said to be the age of globalization where communication, trade, transportation and travel across nations are conveniently accessible. It is the age where the consumption of food derived from the sensations of Japanese culture are widespread across nations. As such, anyone can now have raw fish listed as one of their favourites. 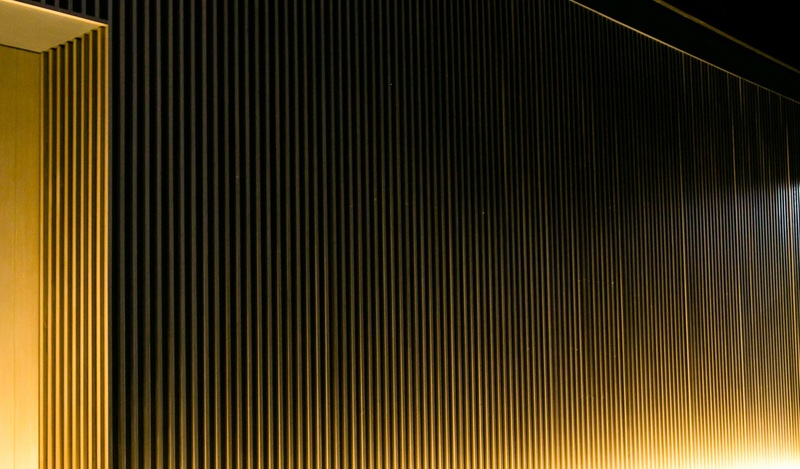 From that, our restaurant is operated based on the philisophical and modern idea that the culture of 'sushi' should not be restricted to only Japanese, but rather treated as a world heritage. A good sushi-ya no longer needs to be in Tokyo or Ginza anymore. We are passionate not only in creating a sushi restaurant aimed at reaching the standards of those Japan, but rather in opening a sushi-ya that is truly authentic in culture and taste-one that even Japanese people themselves would want to fly from Japan to have a taste of our creations. The arts of sushi derived from a long history of tradition. In Japan, a sushi chef is considered a high-profiled profession, meeting the levels of national artists. 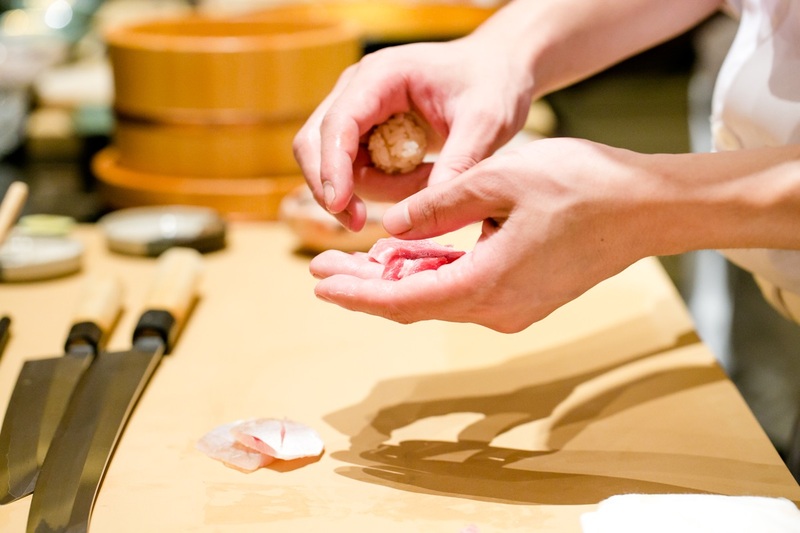 Being a sushi chef not only requires well-trained skills in grooming ingredients, but also requires many years of spiritual cultivation of ancient tradition and culture. Chef Riku Toda (戸田陸), born in the province of Saitama in Japan, had extreme interest and passion for Japanese food and sushi ever since he was a child. His talents were forseen by sushi master Hachiro Mizutani, owner of the famous three Michelin-starred restaurant Sushi Mizutani and apprentice of the world-renowned Sushi God Ono Jiro, inheritance and master of the ancient 'edomae' sushi style. 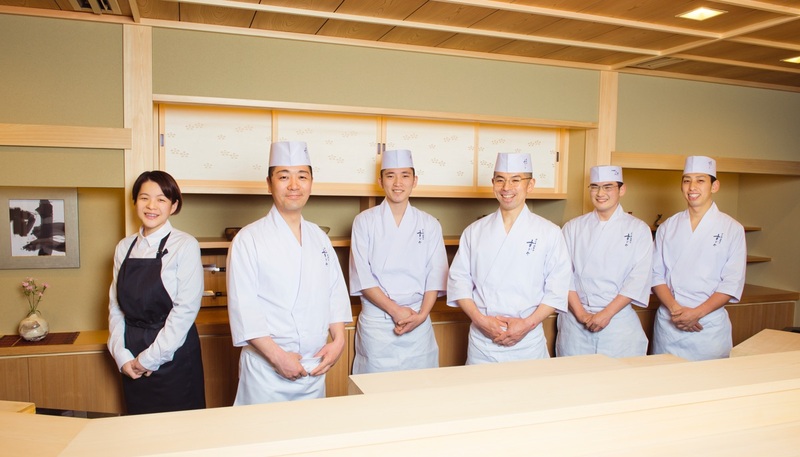 Toda thus ventured into the world of sushi at an early age and was intensely trained by Chef Mizutani himself (as of now, Sushi Mizutani had closed down due to the retirement of Hachiro Mizutani of age). Further on, Chef Toda proceeded to meet the amazingly-talented sushi chef of Japan in the modern age, Chef Takaaki Sugita. Toda eventually moved to join him as one of the members in Miyakozushi, moving up the chef ranks to eventually became sous (or second) chef, growing his skills alongside the restaurant until it became famous. In present day, the restaurant moved and changed its name to 'Sugita'. Toda again assumed the position of sous chef, performing side by side with Sugita. 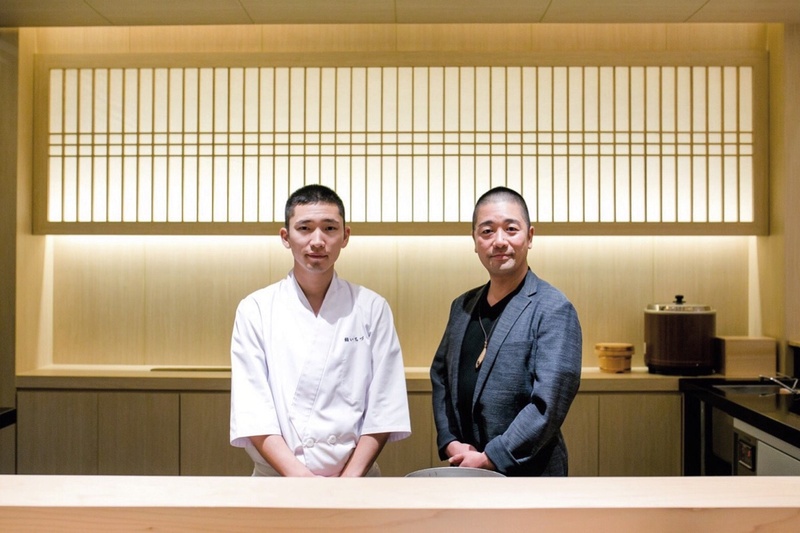 On the very first year of its opening, Sushi Sugita was awared Michelin star and 'Gold Medal' from Japan's most trusted food-review site, TABELOG. Not just that, the restaurant was renowned as one of the best and most difficult to book sushi restaurants in all of Japan. 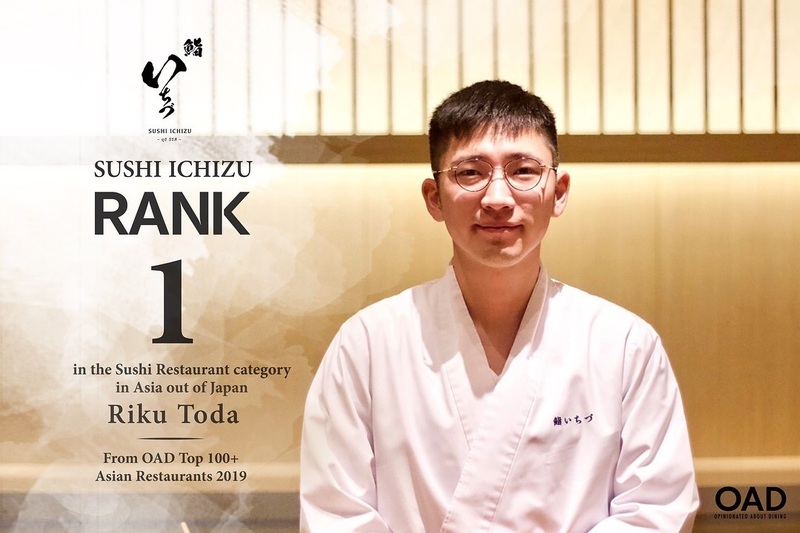 We are thrilled and honored to announce that our restaurant, Sushi Ichizu in Bangkok has won the title of 26th best restaurant in Asia and number 1 rated best sushi restaurant outside of Japan in Opinionated About Dining’s Ranking of 100+ Top Asian Restaurants!! 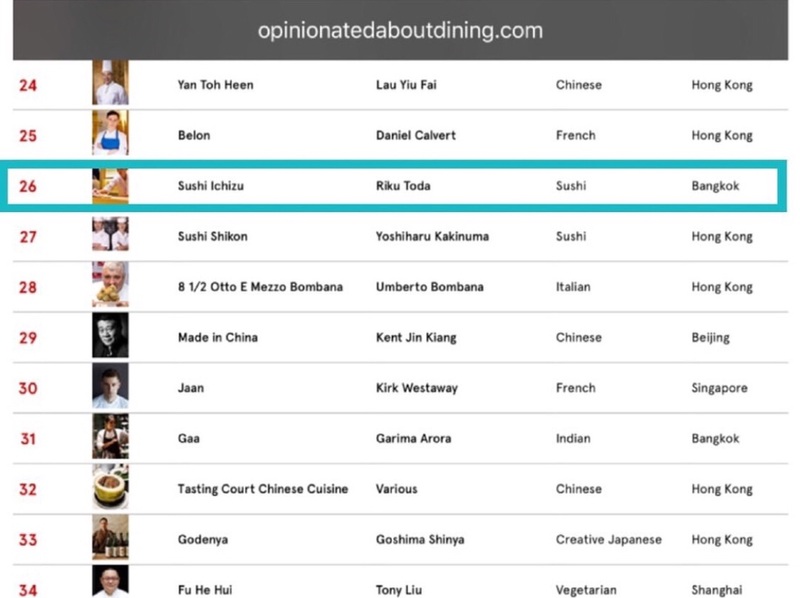 Check out the full 2019 ranking list at http://www.opinionatedaboutdining.com. 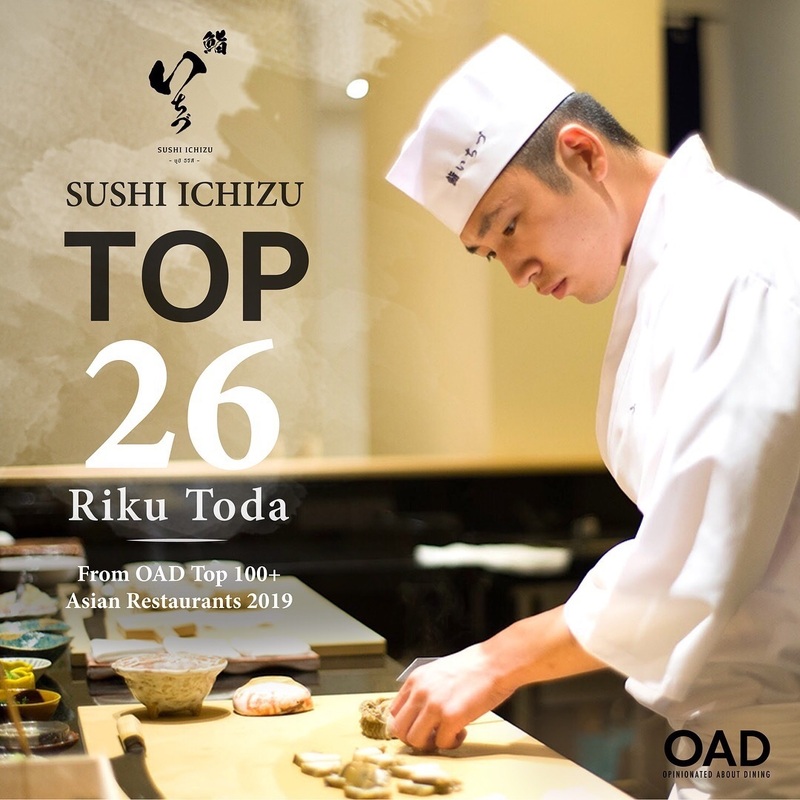 OAD, short for Opinionated About Dining, is a credible restaurant ranking system that allows people to give scores and rate restaurants, with each reviewers’ score magnitude weighing differently according to each one’s level of expertise and experience. Each reviewer is assigned a weight that reflects the number of restaurants that they have visited and those restaurant’s rank on the OAD list. The results are based on over 200,000 or more reviews. This system thus reflects the opinions of reviewers who show a higher level of restaurant expertise/experience than can be found in other systems. This makes the OAD system to be highly reliable and well-known among foodies, food reviewers and the chef community in the industry. Sukhumvit 39, New Petchburi Rd. Sushi Ichizu offers 2 options for our courses—a Nigiri Course for 4,000++ THB and an Omakase Course for 8,000++ THB. Striving to achieve the perfect culinary and dining experience completed with the best of ingredients, we thus opened only 2 rounds per day (accepting only 9 customers per round) and will start serving all customers simultaneously on time. We open from Tuesday to Sunday (closing on Mondays) with booking reservations opened available at 17.30 for the first round of seatings and 20.30 for the second round of seatings. Arriving to the restaurant later than the designated time will have an effect on the dishes of the other customers. As such, we ask our customers to be duly noted that in the case where customers are late for over 30 minutes, there could be some unavoidable cases where we would have to reduce the number of courses normally served in order to maintain food quality to be standardized among all customers. Booking on the same day as the actual dining date could only be done by phone call and not via website. We have a dress policy of smart casual. Men are prohibited of shorts and sandals. Perfume and gel with smell are not allowed due to the fact that the restaurant wants customers to be able to fully enjoy and immerse their five sense in the palette elements of our prepared food and avoid any other disturbances in smell. We accept only customers of age 12 or older due to the fact that the restaurant is unable to prepare special meal selections for children, which would effect the cooking process of the typical omakase set prepared for other customers. 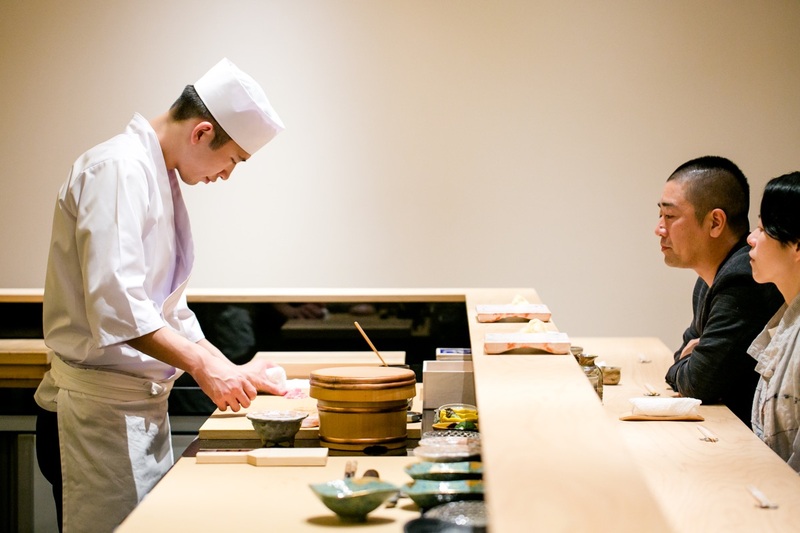 We seek to generate a fully-immersive omakase experience for all our customers. As such, we are unable to control small children which may lead to disturbances that may take away this atmosphere. Cancellation Policy: In the case where the customer(s) cancelled reservations on the day seatings were booked or within 24 hours, the restaurant will have to ask permission to incur full charges equivalent to the price of our Omakase course. This is because our ingredients are prepared specially each day for the reserved customers and will only be used for that particular day. Cancellation would mean prepared ingredients would be of waste since it would not be used to serve to any other customers and thus would be an illogical loss to food resources in the world. Siam Food Enterprise Co., Ltd.
©2017 Sushi Ichizu. All rights reserved.